The Showa deep soaking tub at 1050mm long gives the taller person that bit more room over the standard 915mm long compact range. With a 500mm long standing space it’s more shower friendly too. All four corners can be used for the tap position. As they are hand made to order they do take about 3 weeks for delivery. Occasionally we have a shorter delivery time so call to enquire if it’s needed sooner. I just wanted to thank you for the beautiful bath! It is safely installed in our new downstairs bathroom with a large window overlooking the garden. It holds the heat beautifully and is really sturdy. I am now the envy of all my friends. No one knew what a Japanese style bath was before I installed my Showa. Now, my builders are total converts and my plumber is recommending them to his clients. Thanks to Steve Dunican for these pictures of his Showa bath installed. 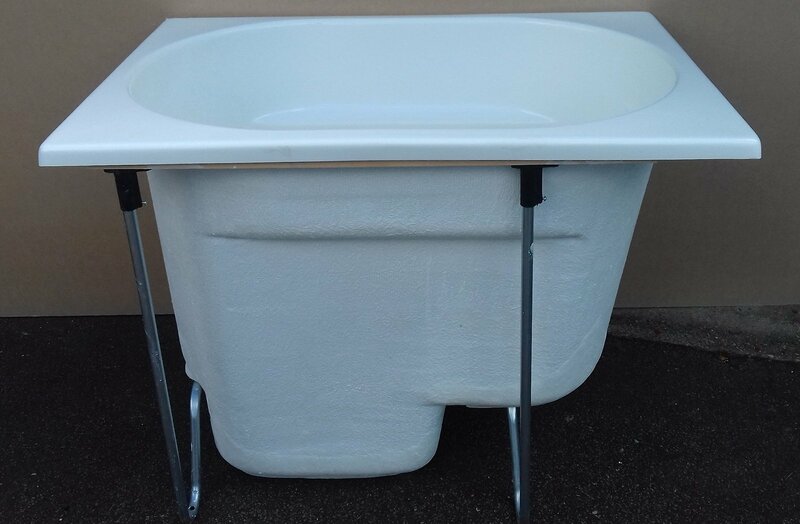 Add this bath to your shopping cart or alternatively, you can download an order form and post your order to us here.